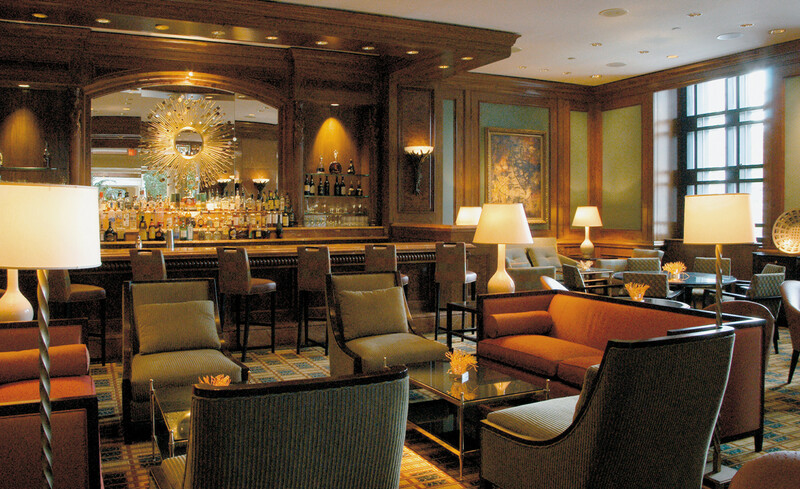 The Four Seasons Hotel in Atlanta, one of the best luxury hotels in Atlanta, knows how to beat the Monday blues and kick off a Friday happy hour like no other. Monday through Friday they offer their Spa Happy Hour that includes two treatments and a glass of Prosecco or sparkling cider for mommies-to-be or teetotalers. I arrived at the hotel midweek to attend the High Museum’s Wine Auction fundraiser that took place in late March. Wound up from work and travel, I was fortunate enough to squeeze in some pre-workday workouts in their well-equipped gym (and spy some well-known actors who were in town filming a movie) to relieve some tension. Even though Saturday was officially a work day for me this particular week, I decided to book a little happy hour for myself early Friday evening. 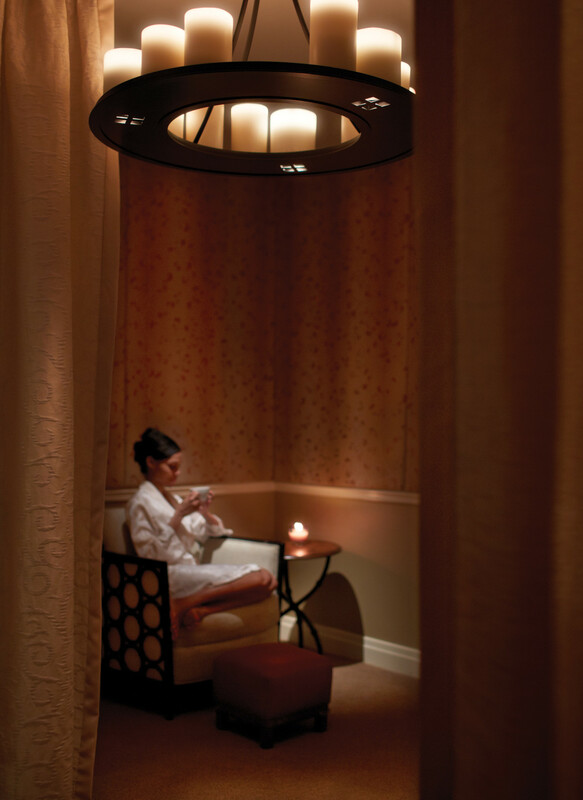 The Four Seasons Spa in Atlanta offers a choice of six treatments during their happy hour which include the following: Stretching Therapy; Reflexology Massage; De-Stress Massage; Hand and Foot Paraffin; Moroccan Oil Hydrating Scalp Mask; and Tropical Body Exfoliation. I chose the body exfoliation – an indulgent sugar-based scrub laced with ylang ylang essential, Vitamin E, and coconut. This was followed by the De-Stress Massage, focusing on the neck, shoulders, and back. I arrived 20 minutes early to make full use of the full-service spa’s amenities which include a sauna, steam room and a fantastic indoor swimming pool and whirlpool dressed in white marble and luxurious marble. Once cozy in my robe and slippers I relaxed in the women’s relaxation lounge in a quiet nook and leisurely sifted through glossy magazines with beautiful images while grazing dried fruits and nuts and sipping lemongrass tea. I was in heaven and the treatments hadn’t even begun. A lovely lady, by the name of Cassandra, called my name as she led me to a spa suite equipped with a glass-enclosed shower. Her voice was soft and soothing. 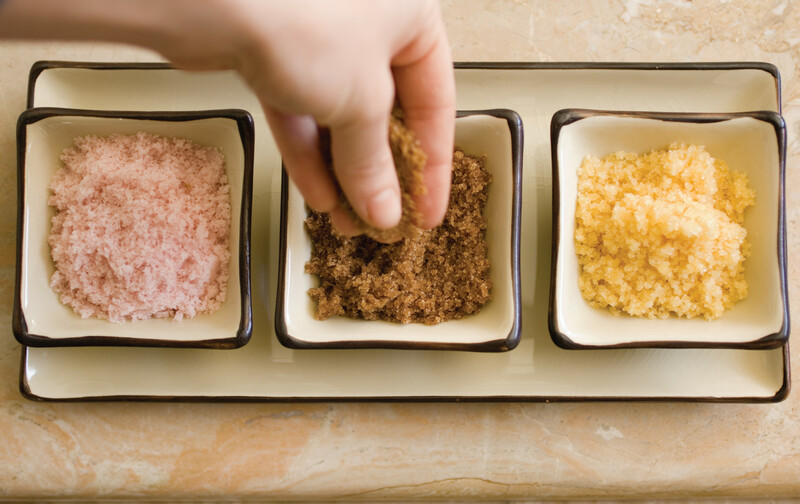 She introduced a sugar scrub to my skin and vigorously, yet in a massaging manner, sloughed my skin smooth. After 30 minutes, Cassandra started the shower until a steamy cloud seeped from the stall. She quietly left the room as I rinse off the sugar scrub which revealed baby-soft, silky skin. Like magic, she quickly changed the sheets to ready the table for my massage. She knew my back needed special attention and advised I incorporate regular 30 minute massages only focusing on my back in order to get the knots out. Energized from the body scrub Cassandra and I had a lively conversation about the awesome city of Atlanta known as Austin’s sister city. She taught me about the different areas of town and led me to some great restaurants to try. I emerged from the spa suite refreshed and relaxed and made my way back to the relaxation lounge for some more guilty-pleasure reading of those glossy magazines and a pre-dinner nosh on the plentiful snacks. Cassandra handed me a bubbling glass of sparkly and I twinkled with delight from my new found favorite type of happy hour. Cheers Four Seasons Hotel Atlanta, you sparkle!